The all new iOS 9.3.3 Firmware, tvOS 9.2.2 and watchOS 2.2.2 beta updates for iPhone, iPad, iPod touch, Apple TV and Apple Watch devices has been released by Apple. The iOS 9.3.3 Beta (13G34), tvOS 9.2.2 Beta (13Y825) and watchOS 2.2.2 Beta (13V601) is now available for iOS developers and iOS non-developers (general public users). Apple iOS users can manually install latest updates using configuration profile file through over-the-air and with restore image file through iTunes on Mac OS X. The Direct Download Links of iOS 9.3.3 Beta .IPSW Files for iPhone SE, iPhone 6S Plus, iPhone 6S, iPhone 6 Plus, iPhone 6, iPhone 5S, iPhone 5C, iPhone 5, iPhone 4S, iPod Touch 6, iPod Touch 5, iPad Pro, iPad Mini 4, iPad Mini 3, iPad Mini 2, iPad Mini, iPad Air 4, iPad Air 3, iPad Air 2, iPad Air and iPad 2 are available below. It seems that iOS 9.3.3 version is a minor update with an approx. 1+ GB file size, but it does includes some functional changes such as; performance improvements and fixes for bug. It's also possible that the same version may deliver fix for "Error 56" issue, appeared in old iOS 9.3.2 version that bricked and crashed most of the Pro devices i.e. 9.7-inch iPad Pro tablet. 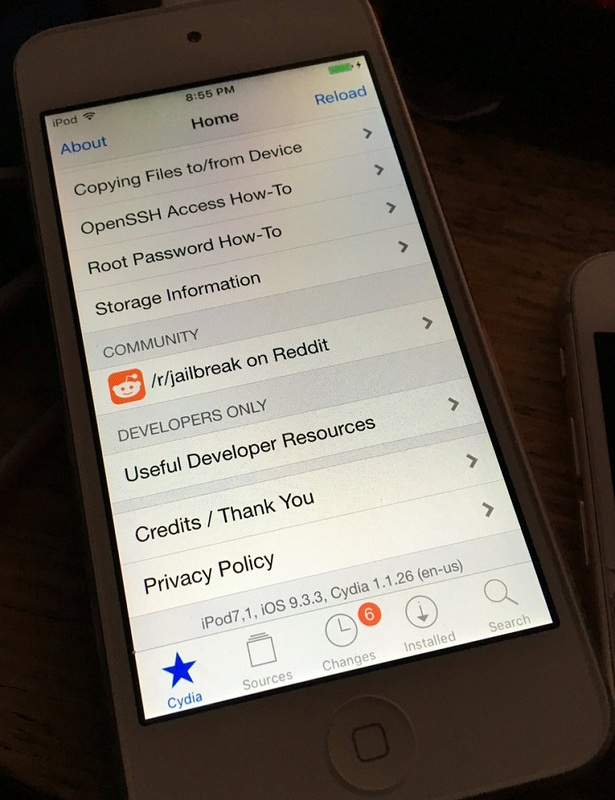 Good news for iOS-Jailbreak community; iOS 9.3.3 Beta has already been Jailbroken by one of Italian iOS-hacker named "Luca Todesco" who has demonstrated an Jailbroken iOS 9.3.3 Beta 1 firmware running on iPod Touch 7,1 with Cydia 1.1.26 (en-us) installed. You too can see the screenshot below, and on Twitter here. TaiG, PanGu and 25PP Jailbreak Tools are also expected soon. To get iOS 9.3.3 OTA Update, all iPhone, iPad and iPod Touch smartphone and tablet device users can navigate to Settings > General > Software Update option. 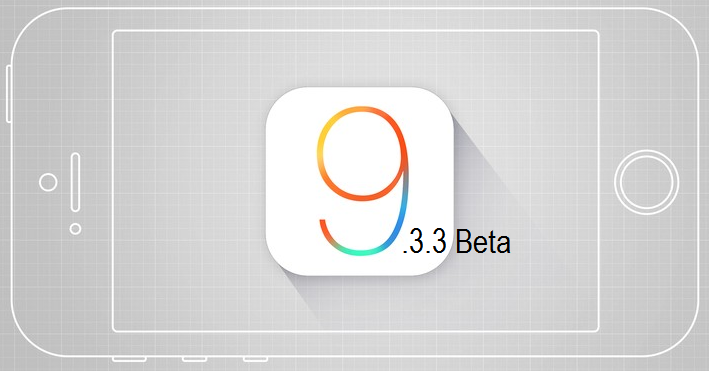 All iOS developers can visit apple developer website for official Downloads of iOS 9.3.3 Beta. All iOS non-developers and public beta testers can free download, install and activate iOS 9.3.3 Beta without UDID developer account for free. NOTE: The final iOS 9.3.3 (13G34), tvOS 9.2.1 (13Y825), and watchOS 2.2.1 (13V604) updates for iPhone, iPad, iPod touch, Apple TV and Apple Watch are available. Download Now!